Lisa Hauck Hair and Makeup got the pre-Christmas auction and fund-raising season off to a great start. From her bijou salon on Gloucester Avenue, Lisa and her team launched and ran a successful fund-raising initiative generating over £1000 for the Pink Ribbon Foundation and its fight against breast cancer. Funds were raised in two ways: a raffle generously supported by Lisa’s customers and friends and an auction on the evening of Thursday 24 September in the Primrose Hill Community Centre. Big thanks are due to the Association for their generosity in giving Lisa and the team such a great location, and allowing them to decorate it for an imaginative and successful evening. Many customers and friends were present and students of the life drawing class, running at the Centre that evening, joined in the fun. Donations were received from several local retailers and personalities as well as from Schwarzkopf, one of Germany’s leading hair products companies. 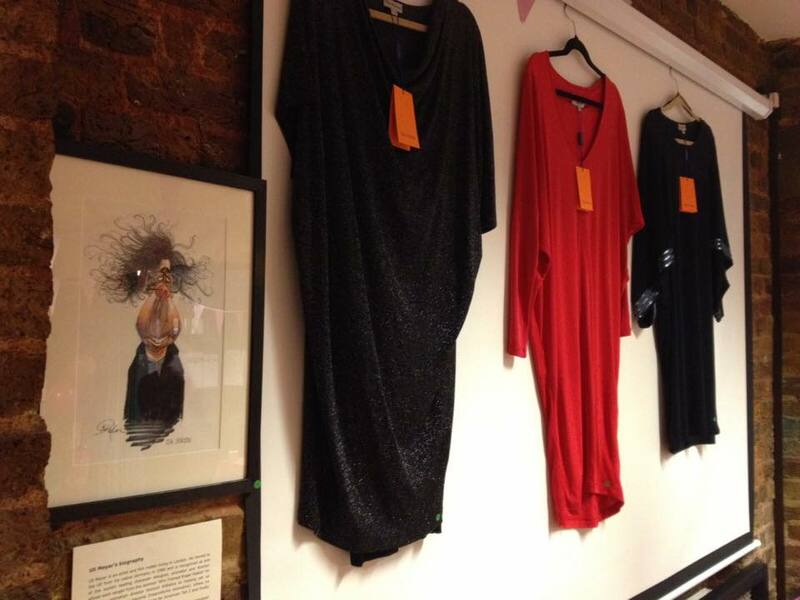 I am now the proud owner of two of the three lovely dresses donated by Mary Portas. Others bid strongly for meals at London restaurants, jewellery, hair and beauty products and art works, including an original ink sketch of Tim Burton by Uli Meyer. Everyone enjoyed the wine generously donated by Nicolas Wine and the food made by Sabina, Lisa’s mother, who is becoming famous in Primrose Hill for her tasty German treats!